We personalize your cards with thermo transfer, embossing, under laminate personalization or digital print. For barcodes, fotos or names and numbers – we make your card individual. We also print and send out your personalized direct mailing. With perfect match of card and letter. What is card personalization used for? 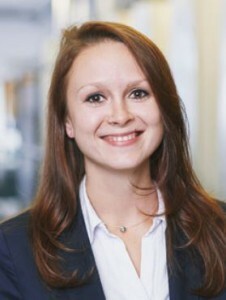 Card personalization is used to uniquely assign a card to a person based on printed or stored data. Also envelopes, letters and other inserts can be personalized. So that cards and other printed papers fit together and will be sent to the customer – 100% safe! The cheapest way of personalization is perfect for large print runs with low security requirements. The data will be applied in flat embossing / thermo transfer print onto the finished card. This technique is most common for individual print on loyalty and gift cards. As the name implies, the ink is heated and then applied onto the card. We offer a the right card printer for every need. Wether you want to print small or middle range prints, or you want to print high security chip cards. Our card printers also use thermo transfer print to personalize the card, this assures an easy and quick print directly at the spot. 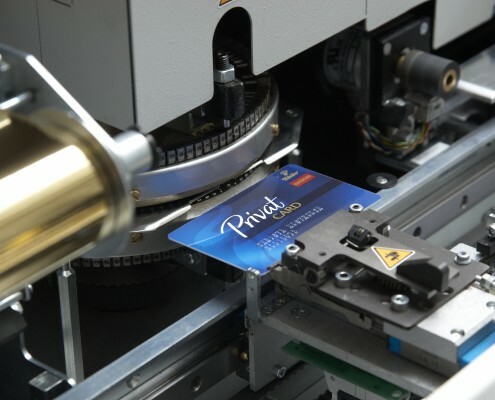 Personalization with a card printer is best suited for club cards or membership cards. 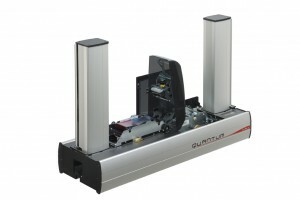 In our range you find high quality card printers from EVOLIS for all card ranges and usages. Data will be printed before the final production of the card and only then coated with a laminate layer. Sublaminate personalization, means the cards personalization directly on the sheet and in color. We can personalize up to 100,000 photo ID cards per day. Your cards are scratch resistant and tamper-proof and are therefore suitable for high security requirements such as bank cards, access cards and annual public transport cards. 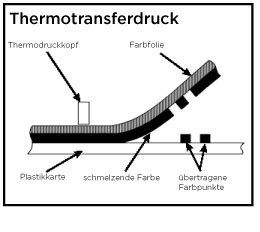 In addition to the thermo transfer printing technology, where data is printed directly on the card, there is also the possibility to save data on magnetic strips or chips. In addition, a writing field for the signature of the cardholder can be applied by screen print. This provides additional security in the identification or authentication of the user. A combination of these features for maximum security is possible. 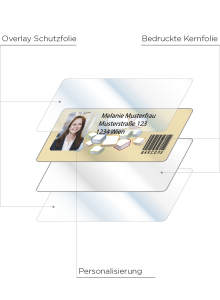 For example, on a bank card, name and bank details are printed digitally (sub-laminate personalization) and stored on a magnetic strip on the back. A implanted chip allows cash withdrawing at the ATM and cashless payment at many cash desks. The signature of the customer can be checked with signature field on the backside. We are happy to advise you on the possibilities of plastic card personalization!